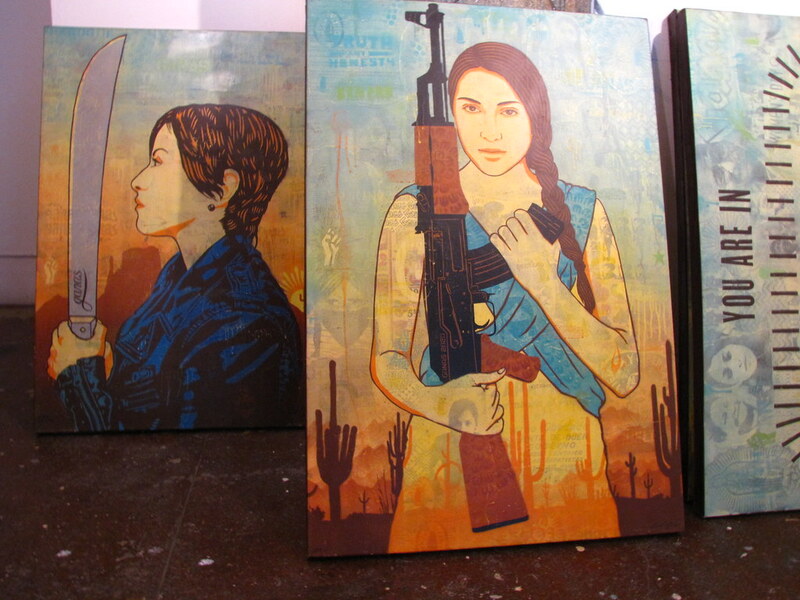 Hi-Fructose swung by White Walls Gallery in San Francisco the other day to take a look at the latest body of work from Ernesto Yerena. 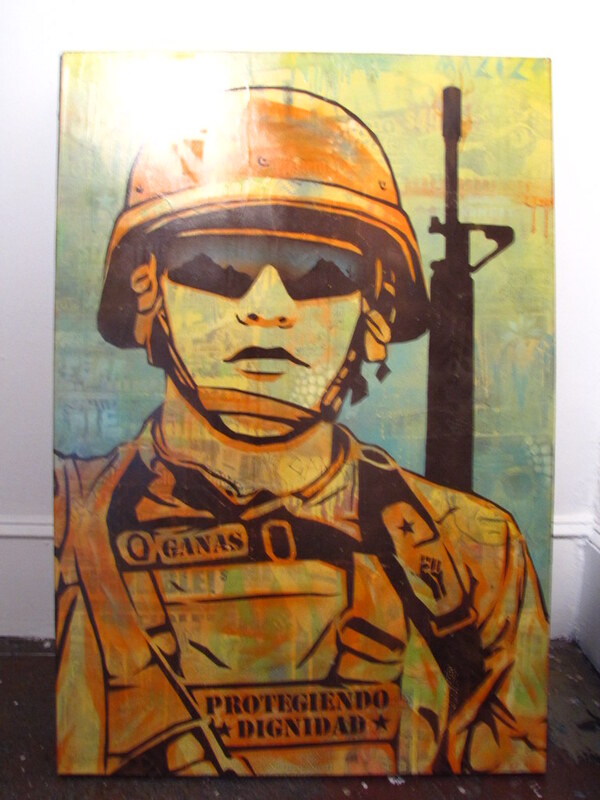 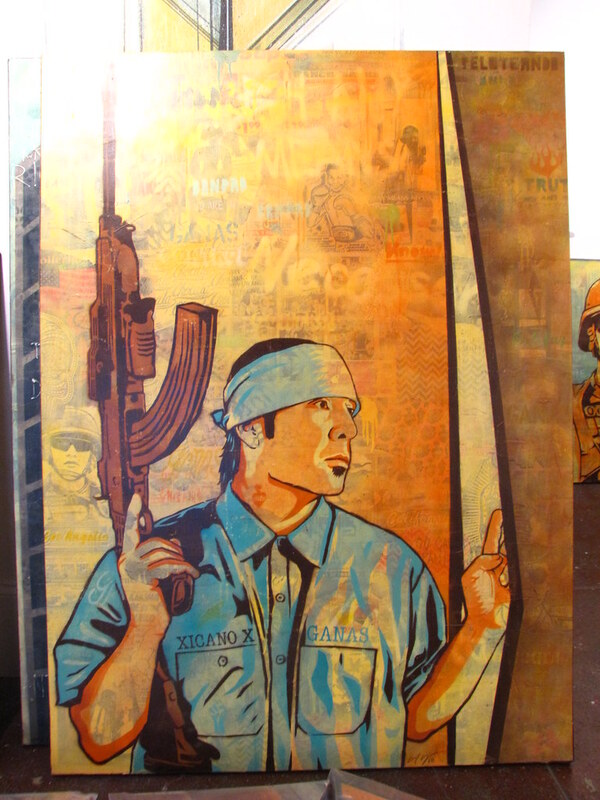 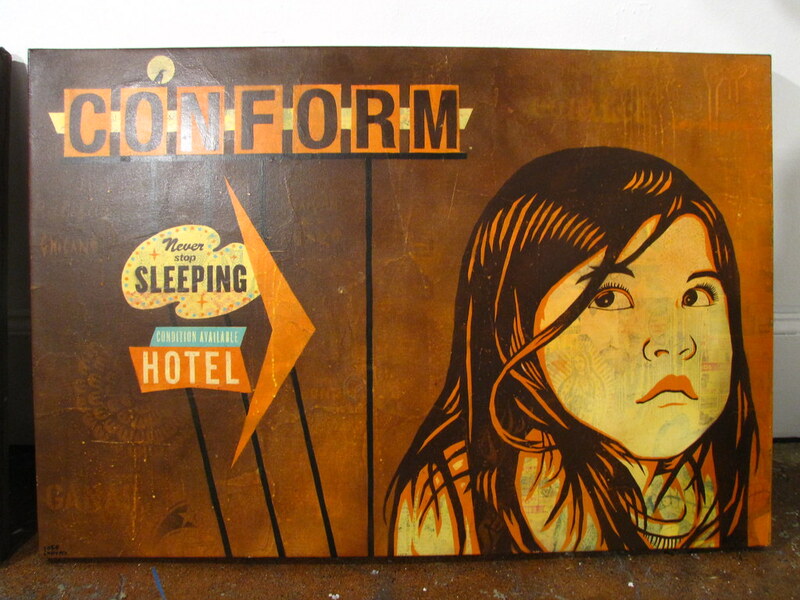 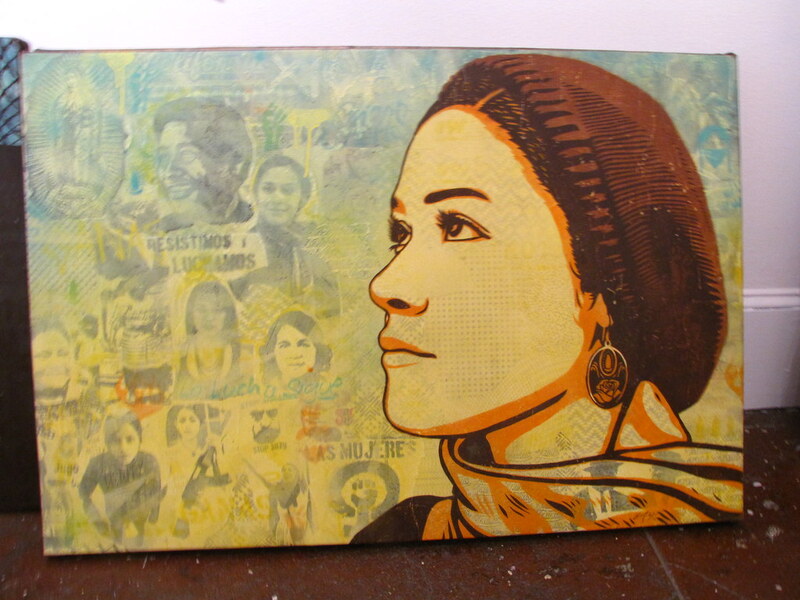 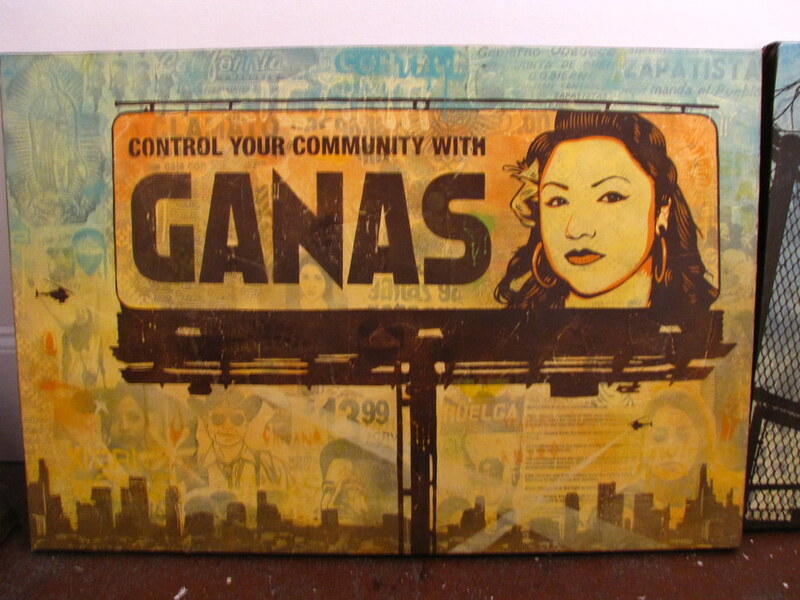 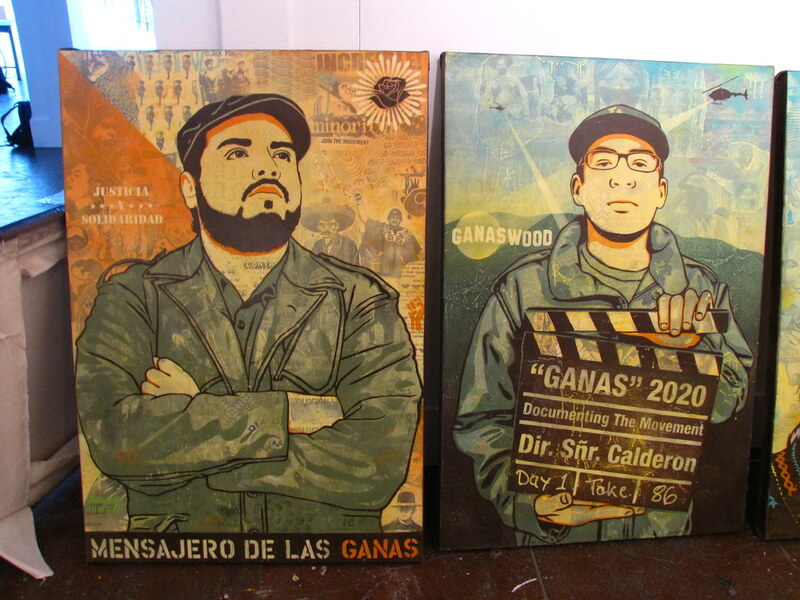 Though his mentor’s influences still run deep in the young artist’s work (Ernesto was Shepard Fairey’s studio assistant for three years), “Ganas 2020” shows a nice step in a fresh direction as Yerena explores a vibrant color palette and a well realized (and highly personal) choice of subject matter. 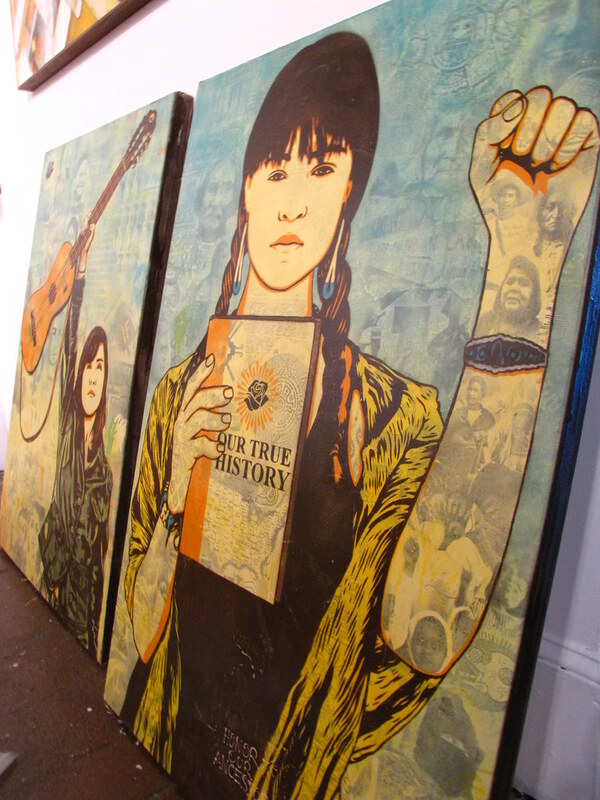 Check out a quick preview of the show below.